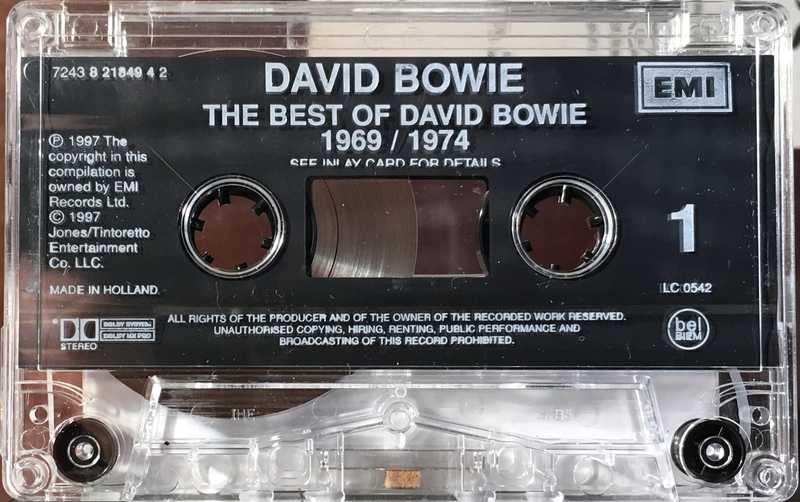 The Best Of Bowie (1969/ 1974): Netherlands; EMI, 7243 8 21849 4 2; 1997. Eight panel cover on thick, glossy, folded paper. Full panel cover photo; white spine and rear panel. 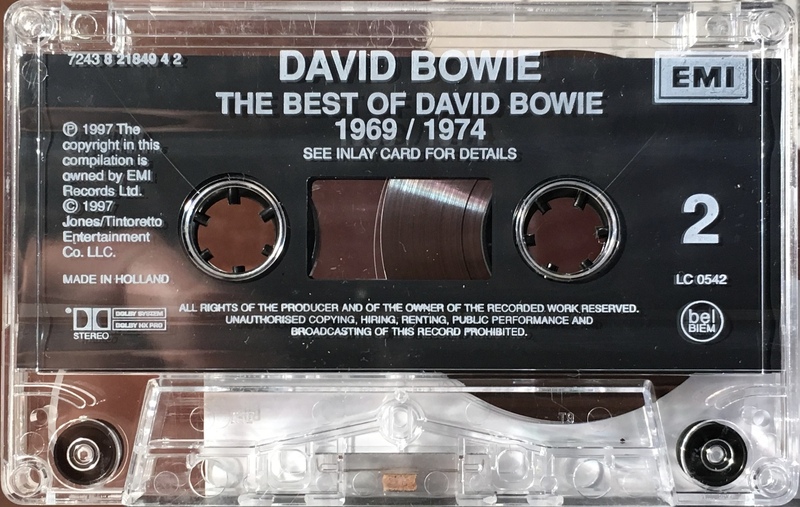 The inner panels have a brief history of Bowie by Kevin Cann and the inside panels have track by track information printed over pictures. Track list on rear panel and ‘Printed in Holland’ and codes for France, Italy and the UK, maybe more properly a EU release. White ink printed directly to clear shell with plain slip sheet. Information in English; ‘Made in Holland’, ‘Dolby HX Pro’ and ‘bel/ BIEM’ rights on shell.